There were 10 players in the K-2 section. Erik Nelylovych played a flawless game and earned first place with 4/4 total points! 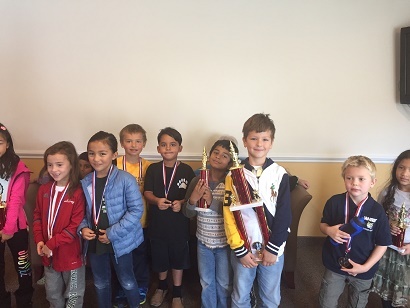 Sarvesh Neelavalli, and Leah Zheng, earned 2nd and 3rd place respectively with 3 points each. Fianlly, Jasmine Thiessen and Hari Palaniappan earned 4th and 5th place respectively with 2 points each. 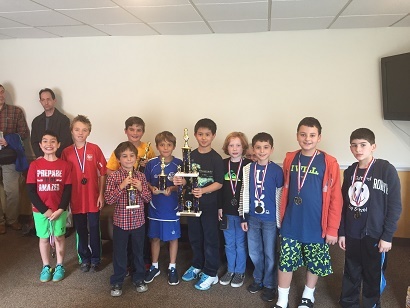 The K-5 section, our largest section, hosted 13 players. Avery Cotton played four perfect games and earned 4 points and first place! 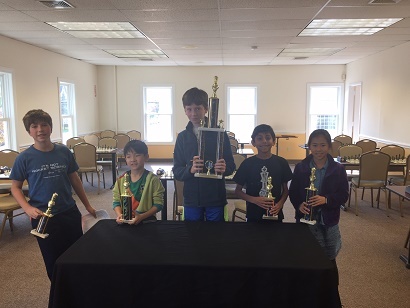 Ann Song, Henry Graham, and Jacob Green earned 2nd-4th place respectively with 3 points each. Gabriel Herne secured his stop in fifth with 2.5 points! The K-8 section, saw 6 total players. Christopher May earned first place with 3.5/4 total points! Mia Kai earned 2nd place with 3 points! Eddie Li secured 3rd place with 2.5 total points. Matthew Mandell earned 2 points and 4th place. And finally, Ayan Makode secured fifth place with 1 point. Congratulations to all the participants on a great tournament. We hope to see you all again soon!